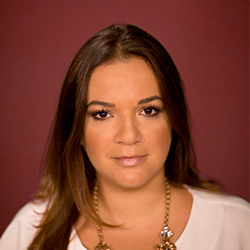 Selymar Colón is managing editor and senior director of digital news at Univision. She has been with Univision since 2006 working across various roles and going up the ranks as producer for Sunday show, Al Punto, hosted by Jorge Ramos. A digital pioneer, Selymar championed the use of social media in the newsroom and created a team of multimedia producers to produce digital only videos in her role as director of digital integration. Named a 40 under 40 : Latinos in American Politics by the Huffington Post, Selymar holds an M.S. in Investigative Journalism from Florida International University and a B.A. in Communications and Business from Lynn University. Colón was a presenter on the panel VIDEO: Cracking the code for successful video online at ISOJ 2018 on Friday, April 13 @ 4:45 p.m.